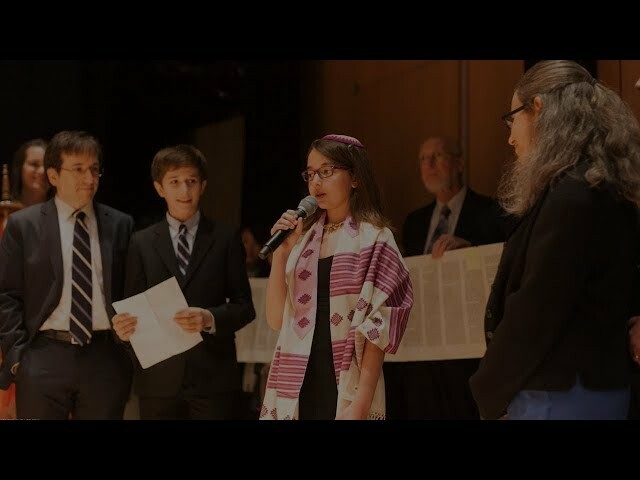 The tallit (tall-EET) or tallis (TALL-us) is a large rectangular shawl made of wool, cotton or synthetic fibers. In each of the four corners of the shawl are strings tied in a particular pattern, called tzitzit. The origin of the tzitzit is biblical; the practice is prescribed in Numbers 15. The precept is to put these strings on the four corners of one’s garment — in ancient tradition, with a single strand of blue as well–as a reminder of the duties and obligations of a Jew. Since we no longer wear four-cornered garments, the tallit is worn specifically to fulfill the biblical precept. 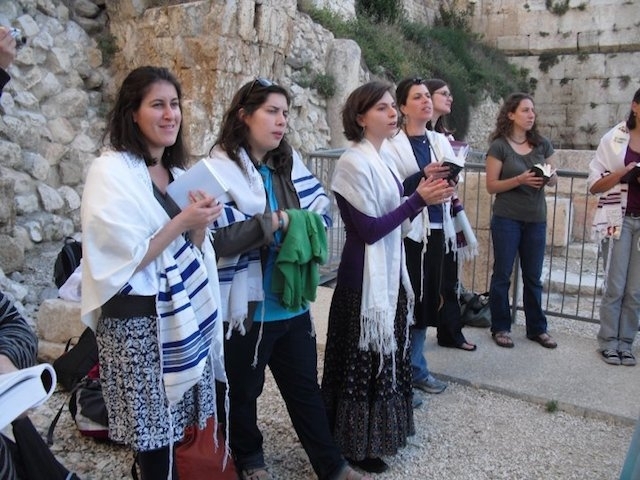 Traditionally, men wear a tallit during morning services; in non-Orthodox synagogues, many women also wear a tallit. In some Orthodox congregations, only married men wear a tallit. One may see people gathering the tzitzit in their left hand and kissing them when the paragraph from the Torah referring to them is recited. Most synagogues have prayer shawls available for visitors to use during services. However, many people prefer to purchase their own prayer shawl. A wide variety are sold at most Judaica stores and on the Internet. And commanded us to wrap ourselves in tzitzit.